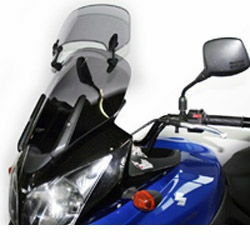 "Hi, just to let you know have fitted touring screen onto Suzuki DL650, I have the screen at the top fitting and the vane at the lowest setting with no angle, I can now turn my head to look over my shoulder without windblast trying to rip it off. I am a big bloke 6ft and the only windblast I get is on my lower arms. 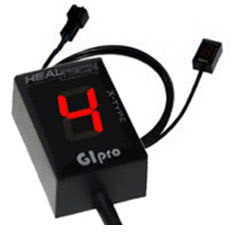 So far 90% improvement, thanks"
"I have to watch my speed now! - before the turbulence made high speeds uncomfortable - but since fitting the screen the ride is much more relaxed at higher speeds. 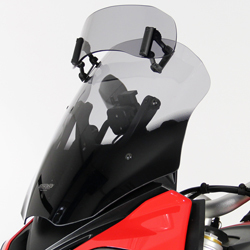 I'd recommend it to other Vstrom owners"
!quote, 40888, 4025066092376, windshields, wind, shields, windscreen, motorcycle, motorbike, sportsbike, vision, vario, touring, screens, vario-screens, vario-shields, sports, sporty, gray, grey, tinted, smoked, ecran, vent, pare-brise, 04, 05, 06, 07, 08, 09, 10, 11, 2004, 2005, 2006, 2007, 2008, 2009, 2010, 2011, k4, k5, k6, k7, k8, k9, k10, l0, l1, dl, 650, dl-650, vstrom! Item as described. Swift delivery. Item as listed. Fast delivery. 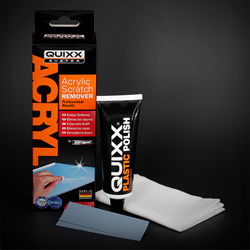 "The screen fits perfectly and it was very easy to install. The difference with my original screen is dramatic. I can drive visor open on the highway now, no more annoying buffeting anymore! Great! *Please note standard 415mm version shown in picture. 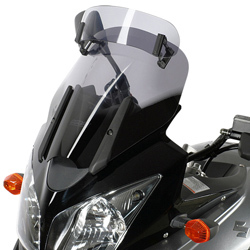 !quote, windshields, wind, shields, windscreen, motorcycle, motorbike, sportsbike, vision, vario, touring, screens, vario-screens, vario-shields, gray, grey, tinted, smoked, ecran, vent, pare-brise, 04, 05, 06, 07, 08, 09, 10, 11, 2004, 2005, 2006, 2007, 2008, 2009, 2010, 2011, k4, k5, k6, k7, k8, k9, k10, l0, l1, dl, 650, dl-650, vstrom! Good communication and a fast send. 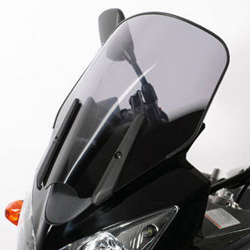 !57736, 4025066127115, xcreen, xscreen, x-screen, windshields, wind, shields, windscreen, motorcycle, motorbike, sportsbike, vision, vario, touring, screens, vario, vario-screens, vario-shields, gray, grey, tinted, smoked, ecran, vent, pare-brise, vstom, 04, 05, 06, 07, 08, 09, 10, 11, 2004, 2005, 2006, 2007, 2008, 2009, 2010, 2011, k4, k5, k6, k7, k8, k9, k10, l0, l1, dl, 650, dl-650, vstrom, vstrom!